Ian Wills, punk poet and pioneer of the spoken word, who The Times Magazine described as the Ian Dury of the 21st Century, has teamed up with the godmother of Irish music, Clannad’s Moya Brennan, to produce a work of rare beauty both melodically and lyrically. Ian's sometimes brutal, sometimes apocalyptic and at all times personal lyrics are known for knocking down doors. Together with a live show that ensures all that see it are left with a feeling tomorrow will be a better day for the night out they have just had. Never one to shy away from his many addictions and demons, when all is said and done Ian's drug of choice is life. A broken soul, yet in the darkest hour, riddled with hate and self loathing, doubt far beyond disbelief comes the light. In late December 2004 Ian met with Brendon Taylor, Jesse Wood, Jason Knight and Martin Wright for the first time in a garage in Somerset. The meeting was the start of the spoken word collaborative that became known as Wills & The Willing. The concept was to take the poems, lyrics and words of Ian Wills and to bring them to life within the ploughed but uncultivated fields of music. The early seedlings grew in the spring of 2005 and by the June, Wills & The willing embarked on series of live gigs in the UK and across the ocean showcasing their first album 'Kerbside' before taking the Edinburgh festival by storm picking up the prestigious accolade of ‘Pick of the Fringe’. It was in the October of 2005 that Janice Long started to champion the band on Radio 2 when she started playing the highly acclaimed single '21st Century Love Song'. By the summer of 2006 the band had enjoyed strong national radio and media support, playing festivals across the UK including the much loved and highly respected Guilfest. The highlight personally for Ian whilst on Wills & The willing second series of gigs in New York was having the great privilege to share a radio show with the legendary Les Paul who, live on air, said the lyrics to 21st Century Love Song were among his favourite in recent times. In 2007 Wills & The Willing now with new line up of Ian, Sean Genockey & Charlie Morton plus part time members The Adj & John Tills (ex of Kubb) released the first single Skin which featured Didier Drogba & Michael Essien and was used part of "Kick It Out", the anti racist campaign in football, and subsequently in 2008 the single " Lipstick featuring the Mercury prize nominated Tom Macrae. In anticipation of the release of the second album, 'Heroes & Villains', Wills & The Willing featuring the new line up went back out on the road playing Guilfest and Isle of Wight music festivals, the Royal Albert Hall and live sessions on BBC Radio 2. Late September 2012, Sean, Charlie, Ian and new full time member John Hogg started the recording of the third Wills & The Willing album at the legendary "Rockfiled studios”. The album produced by Sean has been mixed by Rory Cushnan who not only wrote and performed on such tracks as Amazing & Patience with George Michael but has become one of the UK’s leading mixers and over the past three years has mixed albums for such artists as The Guliemots, Coldplay, Mumford & Sons pivotal debut album, KT Tunstal, Newton Faulkner, Seth Lakeman, The Maccabees and in between Wills & The Willing third album he mixed Mumford & Sons much anticipated second album. 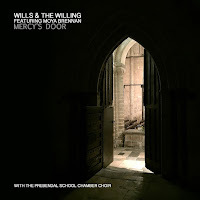 In July 2017, 'Dream In Colour', the third Wills & The Willing album was released and now in 2018 nine years after it's recording, remastered 'Heroes & Villains' will be released on FNG (an imprint created for WatW by Flicknife Records) as part of Wills & The Willing back catalogue and includes a remix of 'Villa' by ‘Dan Thomas’ which features Harry Collier, 'Lipstick' the forgotten mix and 'Skin' Blackdog 2016 remix which reached No.42 in the UK Charts. 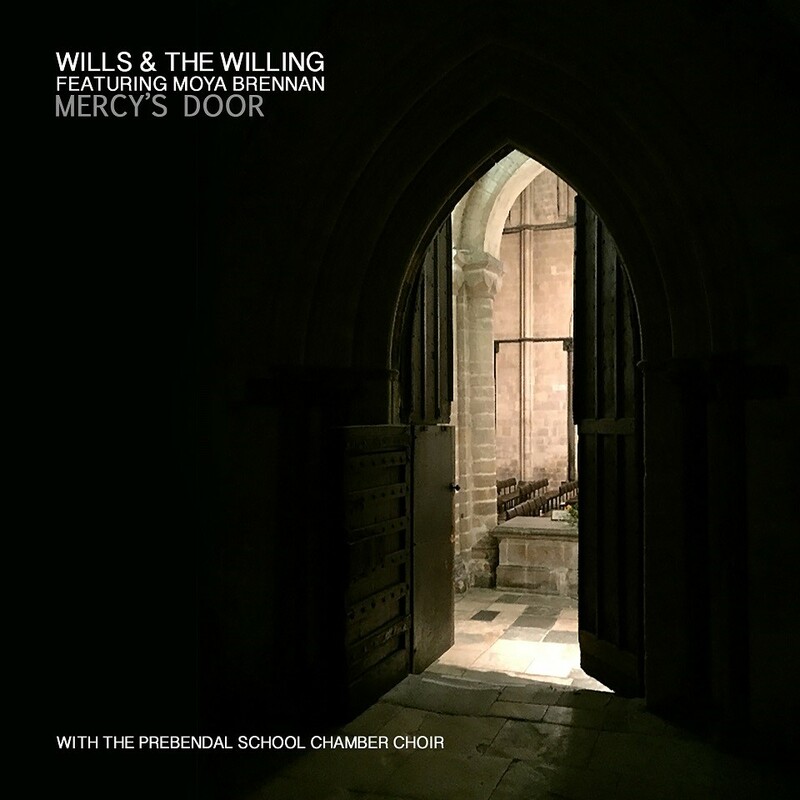 Mercy’s Door the brand new single from Wills & The Willing featuring the queen of Celtic music Moya Brennan (Clannad) and the Prebendal School Chamber Choir. Recorded and produced by Sean Genockey (Roger Daltrey, The Proclaimers) mixed by Steve Bush (Stereophonics, Ocean Colour Scene, Corrine Bailey Rae).